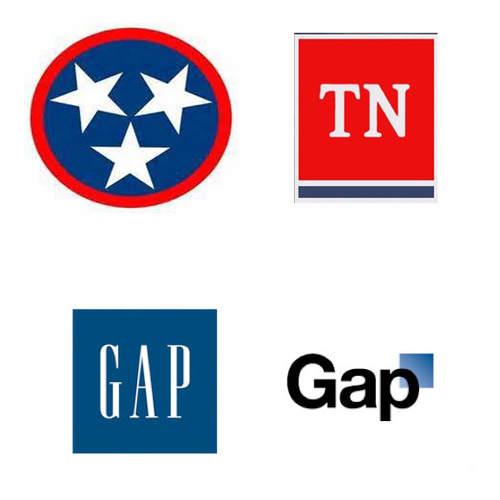 Since the watchdog outed the $46,000 logo design of the state of TN, Facebook has been a tizzy. Every part-time designer on The Facebook has shared their opinion. Here is my rant on why Tennessee can’t cave like the ill-fated Gap rebranding of 2010.